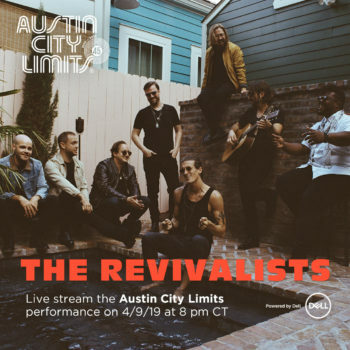 Austin City Limit is excited to announce that we will be live streaming our Season 45 taping with New Orleans rock band The Revivalists on April 9. The performance will stream via the ACL YouTube channel here. Join us on April 9 for this full set live stream of The Revivalists’ debut taping here. The broadcast version will air on PBS as part of our upcoming Season 45.